Brokenness is beautiful, it’s what makes us, us. We live in a terribly broken world full of terribly broken people. We all hurt, we all have things that weigh us down. Cancer is hard to deal with and watch, losing a baby, end of a relationship, loved ones dying, family members struggling, and on and on…. But what I know about these things is, God has a plan in ALL things for those who love Him and serve Him. 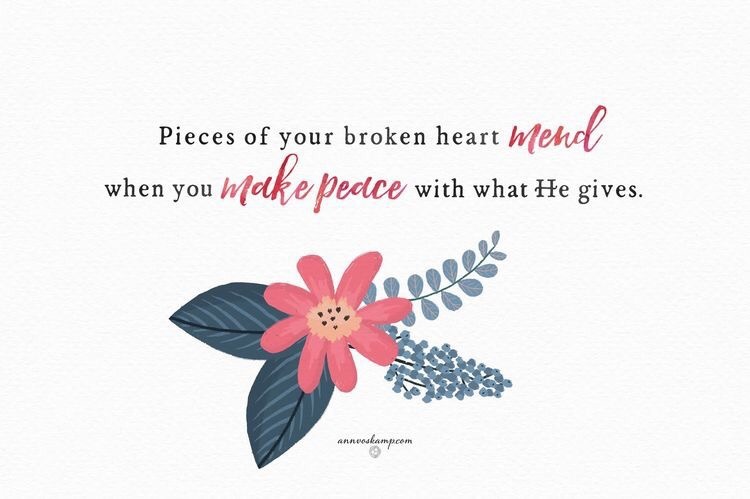 Let him take the broken and make it beautiful. Brokenness is a story to tell others. To show them what God has done for you. How He can carry you. What’s your story? How can God use it for his glory? All I know and all I feel right now is the love and peace of my savior. I cannot and will not go a day without Him!